The tea rooms are open every day from 10am to 5pm. We serve breakfast from 10-12. We are located in Northney village with views out to Chichester Harbour. Please come along and enjoy our delicious sandwiches, light lunches and ice cream – all home-made on the premises. We are able to offer the following services: Hedge trimming Harrowing and rolling Haymaking Dung removal For further details please contact the farm. Your comments or questions are welcome. 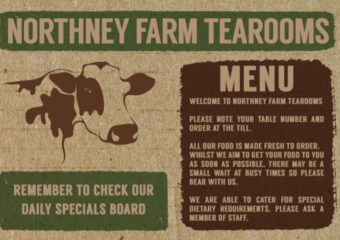 The tea room can also be contacted by phone on (023) 92467607.